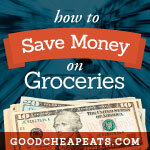 Enjoy your favorite foods, but find ways to stretch them in order to save money. I am a huge cheese ball. I mean cheese fan. I would probably live on cheese if my body and my budget allowed me. It’s probably one of my biggest weaknesses at the grocery store. Chocolate doesn’t entice me, but cheese does. As our family slowly pays back some debts to ourselves, we’re looking to curb the grocery bill a bit more. And that means I won’t be indulging my cheese habit quite as frequently. That’s okay. I got a plan for that. I’m still going to enjoy my favorite foods, I’ll just use them in ways that stretch the purchase across as many meals as possible. You probably already do this. There are plenty of strategies to stretch ingredients, such as using meat as a topping or “condiment” rather than the star of the show or drizzling sour cream from a ziptop bag, in order to use less. The same goes for cheese. 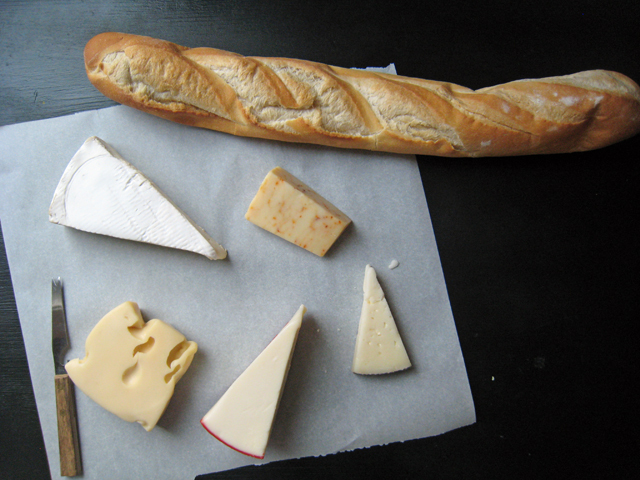 However, if you buy sharp or very flavorful cheeses, you can still get the flavor you crave without having to use as much of it. This is great for trimming a few calories, too. That said, go forth and make something with cheese! What’s your favorite dish featuring cheese? A crustless spinach quiche with swiss cheese. It’s simple, easy and you can eat it hot, warm or cold. 1. Saute a chopped onion in 1 T butter. Set aside. 2. Squeeze thawed frozen spinach to get the excess moisture out. I’ve used a 10 oz pkg or a 1lb pkg, whatever I had. If you don’t squeeze the moisture out, your quiche will be watery. 3. Grate approximately 2 cups of swiss cheese. 5. Beat 4 eggs with 1 cup of half and half (or milk), salt, pepper, a dash of cayenne, a dash of nutmeg and 2 tablespoons of flour. Pour this mixture over the spinach mixture. Sprinkle the reserved 1/2 cup of swiss cheese over the top. 6. Bake uncovered for 35 minutes. Test for doneness with a knife inserted in center (should come out clean). Makes 4 generous servings. Notes: You can use less cheese if you like; I’ve gone as low as 1 cup in total. I’ve also added ham or bacon or mushrooms if I had any of these items around. thankfully my job offers me a discount on my cheese. I just have to get to the retail store when its open, which of course doesn’t work well into my work schedule. If you can get to a cheese factory, they sometimes have ends and they sell for less. The ends are 50c/lb-$1.75/lb and they work just as well. using shredded in place of sliced uses less cheese as well. One of my boys has developed an allergy to dairy in recent months so we have all cut back here. My favorite dish that incorporates cheese is a lettuce salad!